Huntsville City Schools adopted LENA Start as an early childhood language intervention. They’re tracking long-term outcomes of children whose families graduated from the first class in 2014. Investing in early childhood is part of the district’s long-term strategy to help ensure students arrive at kindergarten ready to learn and to reduce the likelihood that they will require remediation later. The program’s popularity has grown rapidly — in four years, the school readiness team has reached nearly 400 families, and this spring most families attending had been referred by past participants. In 2014, Huntsville City Schools became one of the first sites to launch LENA Start as a key component of their plan to close the talk and achievement gaps locally. It was the first school district in the nation to launch the initiative. The district, which serves nearly 24,000 students in northern Alabama, was seeing many children arrive at kindergarten without the skills needed to succeed. “The assessment scores of our children living in poverty were so much lower than their counterparts entering kindergarten,” School Readiness Director Helen Scott said. With the encouragement of the superintendent, the school readiness team met with LENA staff to begin laying plans to implement a LENA Start demonstration site. LENA Start is a program for parents that uses regular feedback from LENA technology to help increase interactive talk in order to close the early-talk gap. The team put together a report with data illustrating the need for an early-talk intervention in the community and the program’s expected impact, and presented it to the superintendent and Board of Education. The School Readiness team from Huntsville City Schools received the 2017 Terry Paul “Making a Difference” award. The award recognized outstanding contributions to fostering talk with children birth to three. Leadership eagerly approved the plan, which complemented the team’s efforts to bolster support for early childhood education in the city of Huntsville. Because Alabama doesn’t offer universal preschool, the superintendent suggested adding a long-term incentive for parents who graduated from LENA Start: a guaranteed spot in the district’s fully-funded preschool program, which otherwise uses a lottery system to award seats. The team began recruiting families to participate in the program all over town — at the laundromat, the library, and the grocery store. “We made a list of all the places that we could reach young parents in poverty,” School Readiness Specialist Cristy Dothard said. The team attended community events like “Kite Day” to do in-person recruiting, handing out fliers to parents with the class details, and held information sessions at community centers at different times of the day. “We also promoted the program on our website and social media with a link to a recruitment video starring some of our families,” Dothard said. Slowly, interest in the program grew, until it reached a tipping point and word of the program began “spreading like wildfire,” Pre-Kindergarten Coordinator Anthony Davison said. At their most recent session in the spring of 2019, almost every single family enrolled had learned about the program from someone else who had attended. To date, the LENA Start program in Huntsville has served 368 families and has an 83 percent graduation rate. While the district doesn’t have the capacity to provide free preschool to every child in the city, running LENA Start classes has helped to build local awareness of the importance of early brain development. “Families are paying more attention to their babies; they’re trying to understand those developmental milestones and ask, ‘What should I be doing as a parent? How do I build their brain in a positive manner?” Davison explained. Program data show the LENA Start graduates in Huntsville have increased both adult words and conversational turns with their children, and reported reading more than three times as much with their children compared to the start of the program. “Once the parents start having conversations and open up we can truly see the transition in their mindset about how they interact with their children,” Davison said. Research suggests that children who experience more conversation with adults may experience positive changes related to brain structure, function, and long-term developmental outcomes. Using the LENA Snapshot — a parent questionnaire that measures a child’s receptive and expressive language development — the school readiness team can see that children are gaining over two months of developmental skill every month. That means that rather than falling further behind, children are actually catching up to and surpassing their peers. LENA Start is motivating parents to talk more and giving them the tools to close the achievement gap. The classes have also built a new community, as parents from different income levels, ethnic groups, and backgrounds unite around a common purpose. “One of the things that speaks to me about this program is the community that we’re building with our parents. We have classes full of parents from every corner of the city that wouldn’t usually come together. We’re all in the same boat — we’re all here because we want what is best for our child,” School Readiness Specialist Susan Hunsecker said. The team is looking at ways to continue that family engagement through the intervening years until children are old enough to enroll in preschool or kindergarten, possibly by holding quarterly get-togethers for families or creating webinar training modules. But expansion requires expanded funding, which is hard to find as the district faces a financial crisis. As the budget is tightened, the school readiness team is looking to local businesses and agencies to support the continued growth of the program, which builds a strong community by supporting children’s early cognitive development. 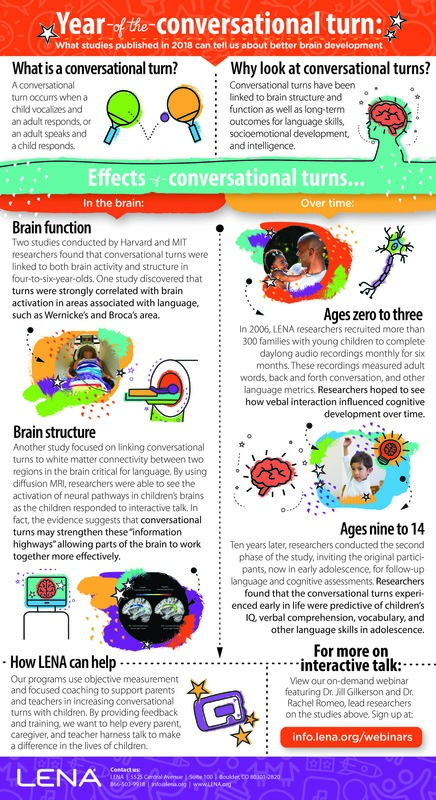 Between the ages of 0-3, children’s brains develop more than 1 million neural connections every second, according to the Harvard Center on the Developing Child. “If those neurons and synapses are not connecting by age three, we already know that child will be behind,” Scott said. Early childhood experiences shape brain architecture for the rest of a person’s life, Harvard experts say, laying either a firm or weak foundation for later development. “Language development opens the gateway for children to develop those social-emotional skills, like being able to connect to each other and work in groups, those 21st century skills like communication and collaboration,” Davison said. For the school district, investing early is part of a long-term strategy to help ensure students arrive at kindergarten ready to learn and to reduce the likelihood that they will require remediation later. “This program is definitely cost-saving. We can either catch children at the beginning of their academic career, and give them the basic building blocks in advance so that they’ll have the skills to scaffold as they move through grade school, or try to remediate later,” Davison said. As the first group of children whose parents participated in LENA Start classes five years ago prepare to enter kindergarten this fall, district staff and the LENA research team are pulling together plans to track their progress, hoping to better understand how the program relates to their school success.